What is this minor ear birth defect? I would like to adopt a blue-silver tabby Turkish Angora kitten with a minor birth defect which causes his ears to appear notched or tipped. 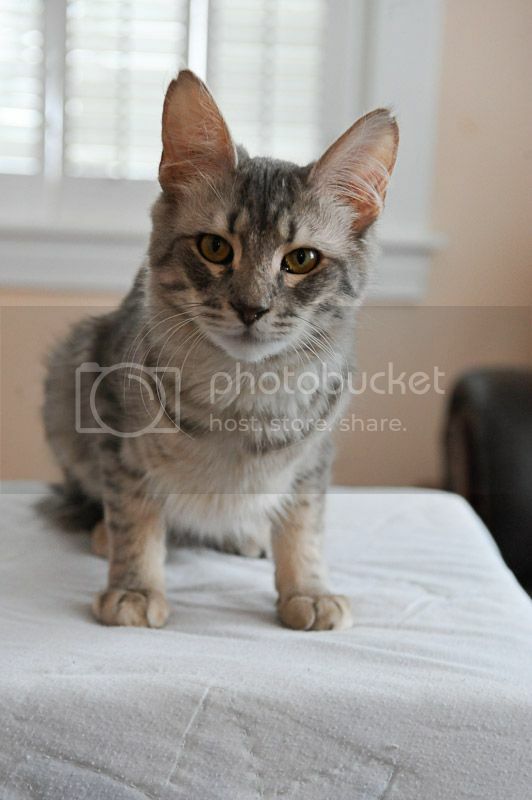 Please copy & paste the following URL for photo of kitten: http://i620.photobucket.com/albums/tt286/Ombre_Rouge/IMG_3852.jpeg I have never seen another cat with ears like this. What is this condition called? Is it common? Is it indicative of health problems? Any information would be much appreciated.